This week, over 3,400 scientists came together in support the United Nations’ nuclear ban negotiations, signing a document by the Future of Life that calls for a total disarmament. Notable signees include Freeman Dyson, Stephen Hawking, and Daniel Dennett. Science and politics are irrevocably intertwined. From whether or not we should conduct research using embryonic stem cells to whether or not the nation should take action against climate change, science and politics are in an eternal dance. Given that so many scientific conversations are becoming increasingly debated topics, such as climate change, the role of scientists in these debates cannot be overstated. Ultimately, while politicians can discuss how research should or should not be used, experts are the only individuals who truly have the qualifications to speak about what the research itself says. To put it simply, politicians need the expertise of scientists in order to do their jobs properly. Monday, more than 3,480 scientists came together to meet this need and to support the United Nations’ nuclear ban negotiations. The individuals – who came from more than 80 countries and included 28 Nobel Laureates and a former US Secretary of Defense – signed a letter that was delivered to Her Excellency Ms. Elayne Whyte Gómez from Costa Rica, who is presiding over the negotiations. That said, the talks are supported by 120 nations. Reading the [letter] left no one in doubt about the unimaginable damage that would be done to human health, to animal health, and to the health of the planet if nuclear weapons were to explode. We see the scientific community as vital partners in what we are doing. In 2011, global annual expenditures on nuclear weapons were estimated to be $105 billion – or $12 million an hour. Many scientists believe these funds should be redirected toward meeting human needs. For example, official development assistance – the money given by developed nations to developing nations – totaled $128.7 billion in 2010. Current nuclear weapons spending is equal to 80% of this sum. Physicist Freeman Dyson, who is credited with conceiving of what is known as the “Dyson Sphere,” is one of the many notable scientists who signed the Future of Life’s letter supporting the stigmatization of nuclear weapons. We don’t need those damn things. But what about once we do ban nuclear weapons? How do we verify that they really are gone? Experts, says Dyson, work out elaborate systems to verify that there aren’t nukes “lying around” (through the detection of radioactive particles, for example), but he doesn’t believe those verification systems are necessary. In fact, in the case of biological weapons, a good verification system doesn’t exist. To Dyson, the verification isn’t important or necessary. The National Security Study Memorandum (NSSM 200o), also known as The Kissinger Report, is a 123-page memo published December 10, 1974, a few months after the resignation of President Richard M. Nixon. During the production of this now-declassified document about global population control and the means to achieve it, Dr. Kissinger held two positions in the White House. From 1969 until 1975, Dr. Kissinger was the Assistant to President Nixon for National Affairs. In 1973, he simultaneously held the Secretary of State position in the Nixon White House and continued in that same position for President Gerald Ford through 1977. Kissinger’s power and influence on global depopulation affairs is a formidable cornerstone of the New World Order. He is both revered and hated for his pragmatic, eugenic approach. In this segment from a 2014 episode of Breaking the Set , journalist Abby Martin describes actions that many consider to be Dr. Kissinger’s war crimes. In 1974, when Dr. Kissinger was collecting data for his NSSM 2000, the global population was 3.9 billion people. Using fertility rates from that time, he projected 7.8 billion people would populate our earth by 2000. But Kissinger’s estimate was too high. According to Ecology.com , the global population for the year 2000 was actually 6.1 billion. Kissinger wasn’t alone in his eugenic desires. 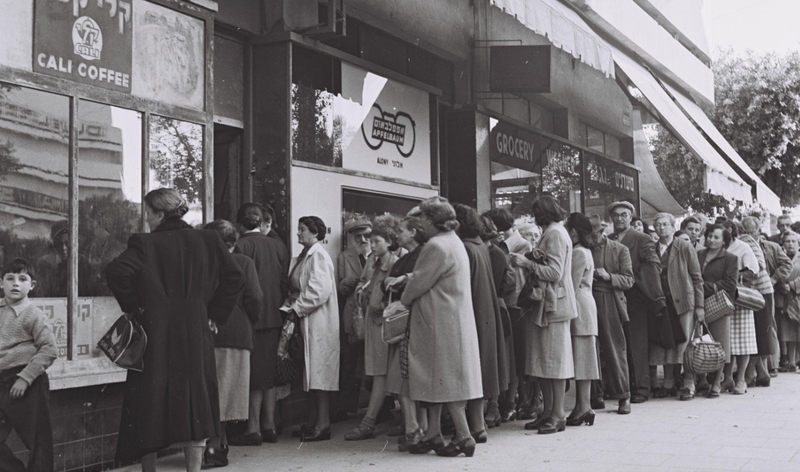 In the 1970s, dire predictions of too many people and not enough food to feed them was a popular news topic. It was in 1971 that Dr. Paul Ehrlich penned his controversial book The Population Bomb. He was wrong, too, but there’s no doubt about his global societal influence. The New York Times Retro Report takes an enlightening look at the false ideas Ehrlich still believes in. Dr. Ehrlich has another depopulation buddy in the Obama White House — Science Czar John Holdren. It was also in the 1970s that these two, along with Dr. Ehrlich’s wife, wrote Ecoscience. The theme? How to keep people from overpopulating. As reported by ZombieTime.com , this book suggested that “women could be forced to abort,” or the water or the food supply could be “intentionally infused with sterility drugs.” One wonders how often they dine with one of the master depopulation controllers, Dr. Henry Kissinger. The methods for population and food control are clearly defined in the NSSM 2000 memo. In it, you can see the seeds of GMO technology, control and food distribution systems, the strategic use of UN food aid programs, ideas to include direct broadcast satellite educational programs aimed over particular global regions to teach population control methods, encouraging women to work and not have children and especially the use of governmental coercion. For example, if the United Nations set a goal for a particular nation’s demographic and the nation achieved a lower fertility rate, the “least developed country” (LDC) could be provided “large scale technical and financial assistance . . .” The Kissinger gang was concerned about appearances in this now unclassified document. On page 77, they are worried about a backlash because an LDC “will see developed countries pressures for family planning as a form of economic and racial imperialism. . .which may “cause a serious backlash.” Yes, indeed. Today, the UN network of elites have all the technology needed in order to create whatever starvation or disease paradigm they want. Are you growing food and drinking clean water? Stock up your supplies today. Tagged food shortages, National Security Study Memorandum, Prepper Fortress, The Kissinger Report, UN. 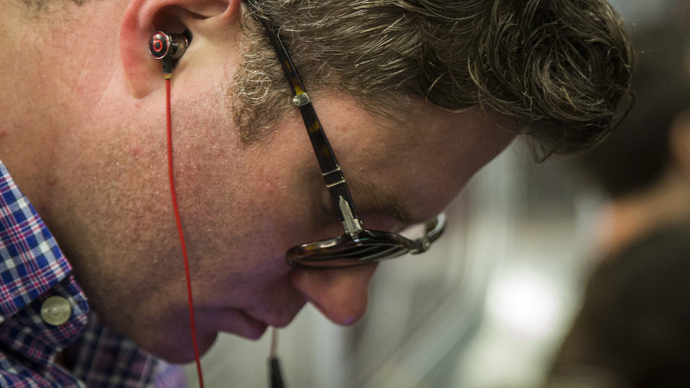 1 billions at risk of hearing loss from music, noise . The unsafe use of personal audio devices and high sound volumes at events are putting over a billion teens and young adults at risk of permanent hearing loss, the World Health Organization (WHO) warned on Friday. 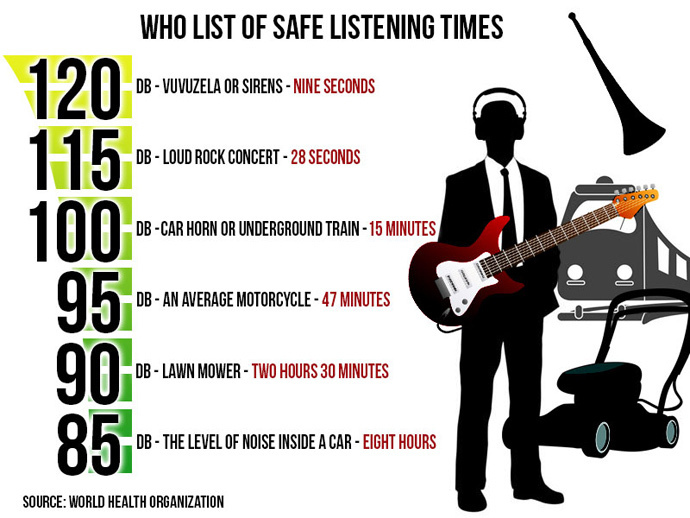 Data analyzed by the UN agency indicates that almost half the population of developed countries between the ages of 12 and 35 are exposed to unsafe levels of noise from personal audio devices, while 40 percent risk hearing damage at entertainment venues. “More and more young people are placing themselves at risk of hearing loss,” warned Dr. Etienne Krug, director at the World Health Organization’s Department for Management of Noncommunicable Diseases, Disability, Violence and Injury Prevention. Potential hearing loss has been linked to both sound volume and the duration and frequency of exposure. While a noise level of 85 dB can be safe for up to eight hours a day, an audio device at maximum volume registers at 105 dB, and is safe for just four minutes. A loud concert at 120 dB stops being safe after 28 seconds, while sirens or vuvuzelas – South African trumpets that became notorious during the 2010 FIFA World Cup – threaten hearing loss after just nine seconds. “Once you lose your hearing, it won’t come back,” warned Krug. Individuals, venues, and governments have all been urged to take steps towards preventing hearing loss. The WHO has urged governments to organize public information campaigns, and develop and enforce “strict legislation on recreational noise.” Managers of entertainment venues such as bars, clubs, and concert halls are advised to use sound limiters, issue earplugs, and set aside “chill-out rooms” for patrons. Individuals can prevent hearing loss by turning down the volume on their audio devices, and by using “carefully fitted, and if possible, noise cancelling” earphones. The WHO estimates that 360 million people around the world suffer from disabling hearing loss, citing exposure to excessive noise as one of the leading causes after injury and infectious disease. The report comes on the eve of International Ear Care Day, marked annually on March 3. 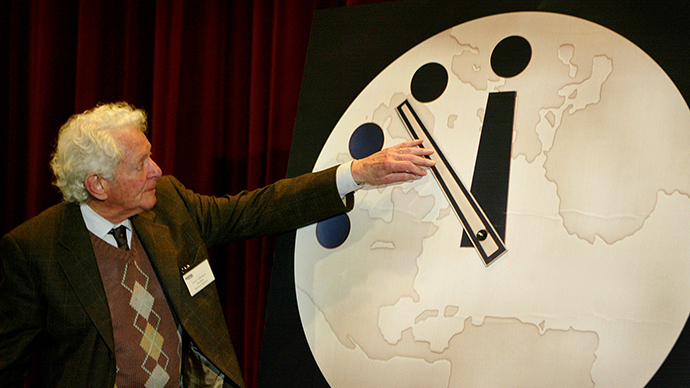 ‘Doomsday clock’ still at five to midnight, scientists warn. The Doomsday Clock has been used by the Bulletin of Atomic Scientist since 1947 to represent the perceived danger of a catastophic nuclear event. The doomsday clock – a theoretical device that purports to tell us how close we are to a nuclear apocalypse – has frozen at five minutes to midnight, unchanged from last year. Physicists tell the head of the UN there is little reason to move it back. The visual metaphor has held its appeal for more than 60 years now. The hands of time are moved in accordance with the analyses of a special board of scientists who ponder international threats, especially those having to do with nuclear armaments. “As always, new technologies hold the promise of doing great good, supplying new sources of clean energy, curing disease, and otherwise enhancing our lives. From experience, however, we also know that new technologies can be used to diminish humanity and destroy societies,” wrote the scientists on the board. “We can manage our technology, or become victims of it. The choice is ours, and the Clock is ticking,” they added. The clock was first launched in 1947 by the editors of the Bulletin of Atomic Scientists. The wife of one of the researchers on the team, Martyl Langsdorf, had offered her artistic rendition of the object. Back in 1947, the clock had showed seven minutes to midnight. In 1953, things looked the most critical in the clock’s entire history to date: they showed two minutes to midnight, following the US and Russian nitrogen bomb tests, spaced only nine months apart. Meanwhile, 1991 was in the minds of the scientists the safest year: the Cold War had ended, and there was thankfully an agreement between the world’s then-superpowers, the US and the USSR, on reducing strategic nuclear arsenals. All in all, the clock’s hand changed its position 20 times. In 2012 it moved to five minutes to midnight, which symbolizes hypothetical nuclear annihilation. The scientists believe that Russia and the United States must continue to make progress on eradicating their nuclear arsenals and further negotiate. They were also not too happy about China, India and Pakistan making strides in the opposite direction with their military developments – including the stockpiling of fissile materials. The group thought that the Fukushima catastrophe would wake the world up to the necessities of moving away from nuclear energy, but complained that only Germany and Switzerland really made huge strides, while countries like the United Kingdom are discussing the construction of new nuclear facilities yet. The group is also unhappy with the progress the UN has made in the field of climate sustainability and negotiations on policies in that area. The threat of global warming, they say, is still real. 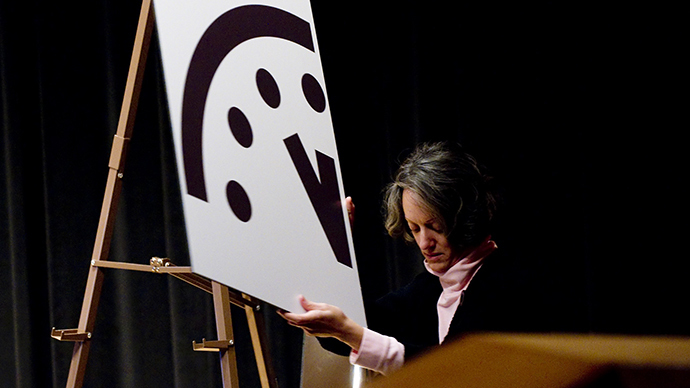 After all, since 2007, they claim the clock reflects not only nuclear catastrophe, but also climate change. 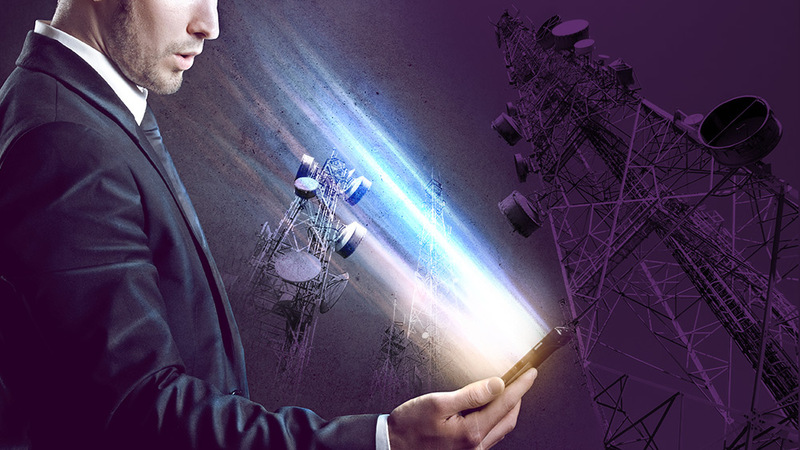 The physicists also wrote that, while there have been leaps in the development and spread of new technologies, the world is not growing fast enough to catch up to them and control them. Amongst them are breakthroughs in the fields of biology and cybernetic technologies – such as drones. They believe that new bodies must be set up for dealing with all emerging technologies. http://m.bbc.co.uk/news/world-asia-20278768 Today is International Malala Day. Tagged international malala day, malala, Pakistan, taliban, UN.